A tailings pond reflects the Syncrude oilsands mine facility near Fort McMurray, Alta. A new study finds that in 2013, more than 330,000 square kilometres received acid deposits high enough to eventually damage life in rivers and lakes. The study says tree growth would be stunted. Water plants would suffer from increased toxins. Fish and the bugs they prey on would get sick and reproduce less easily. The paper’s conclusions rest on 2013 measurements. Both Syncrude and Suncor say they’ve substantially reduced their sulphur dioxide emissions since then. Makar said scientists are working to confirm the numbers against other measurements from planes and satellites. The paper can’t estimate the rate of acidification, he said. 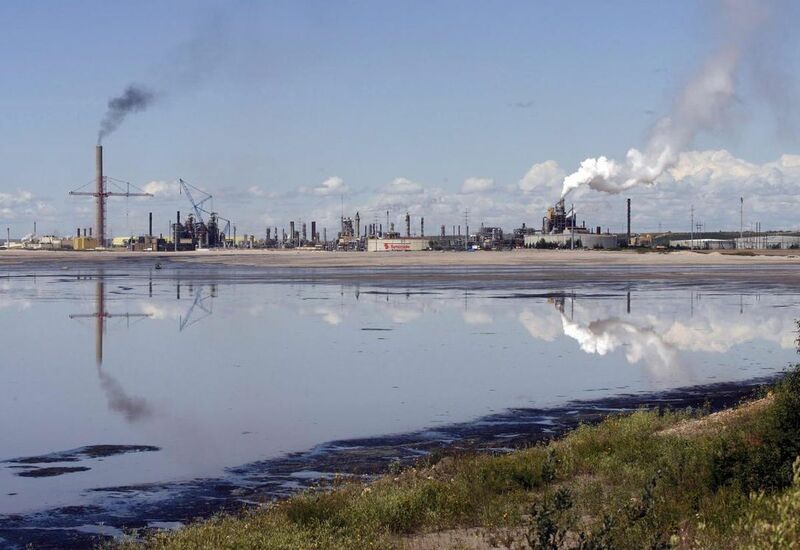 The study builds on years of research on acid-causing emissions from the oilsands. In 2009, Saskatchewan found rainfall in the La Loche area just across from Fort McMurray showed an average pH level of 4.93 — about three times as acidic as unpolluted rainfall and about the same acidity as a cup of black coffee. A 2008 review found that up to 12 per cent of Alberta’s forest soils had probably reached the limit of how much acid they could hold, probably because of the oilsands. In 2006, the same researchers concluded that about two per cent of forest soils in Saskatchewan downwind from Alberta were over their limit.